The Doctor ends up playing detective in a country house high up in the clouds. The trouble is, heâ€™s being chased by an angry group of gorillas and the country house is about to come crashing out of the sky and down to earth! Youâ€™ll go ape with this latest offering from Kieron Moore, Russ Leach and John Burns! 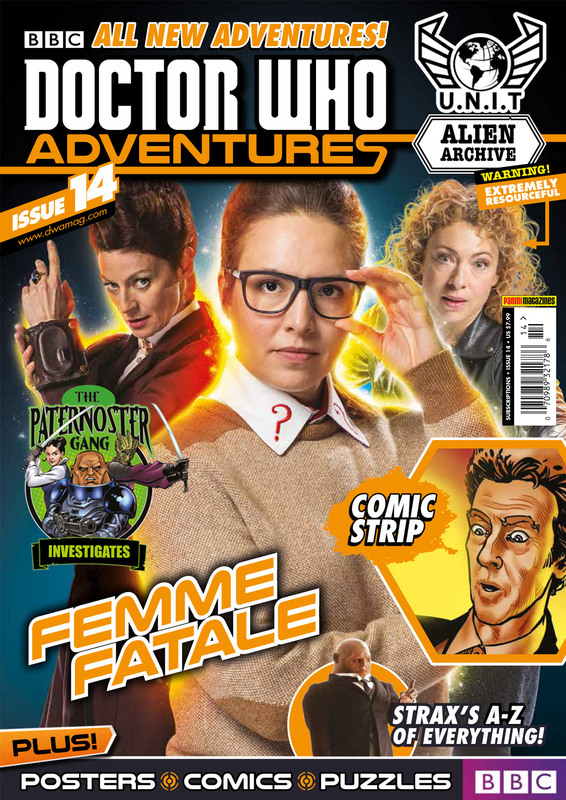 This month you get to access UNITâ€™s archive on the one and only River Song! Strax has just taken a vacation on Gallifrey and heâ€™s eager to show you his latest holiday snaps! Doctor Who Adventures #14 comes with a free make a monster mould kit!